A showcase for world-class handmade kitchens, libraries and studies. 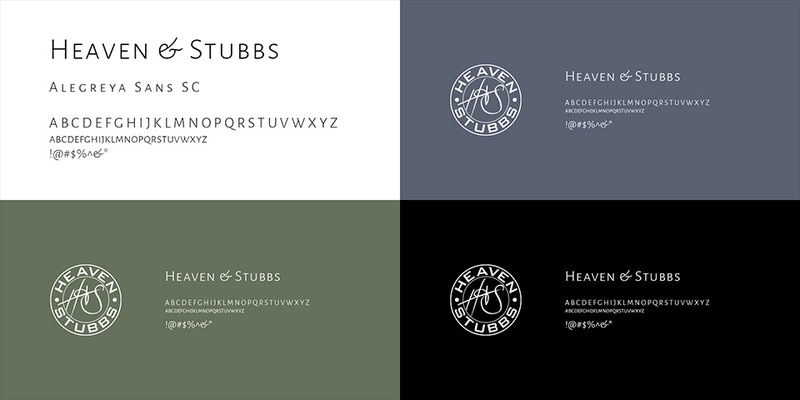 Heaven & Stubbs is defined by a love for carpentry, and was built on the life skills of a good old-fashioned apprenticeship. Howard Stubbs took the first step toward realizing his dreams when he partnered with Stuart Heaven in 1995. Howard’s artistry combined with years of marketing and sales experience provided the foundation for a successful world-class custom furniture business. Heaven & Stubbs is recognized for their creativity and quality craftsmanship. Their diligent attention to detail results in kitchens, studies, libraries and bedrooms that are highly functional and absolutely stunning. Read more, or skip to the results. 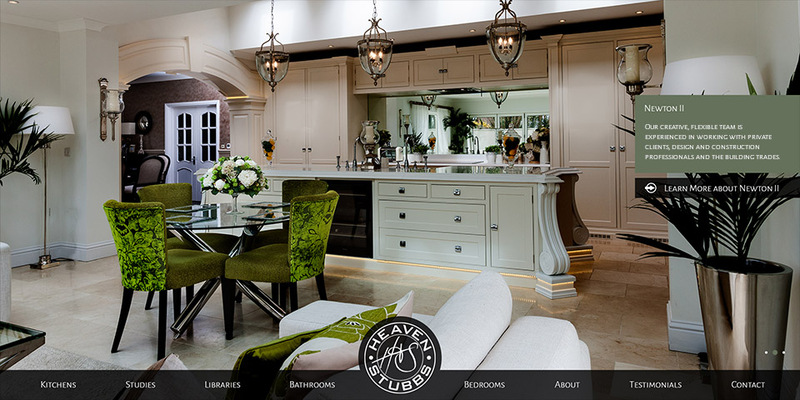 Heaven & Stubbs has been a Studio1337 client since we first registered as a business in 2005. This is the third version of their site, and it represents one of the biggest leaps forward in design we’ve undertaken for a client. Their previous sites were successful in helping them grow their customer-base and reputation. This time, Heaven & Stubbs wanted a site that presented their work beautifully on screens of all sizes, and functioned similarly to a mobile app on small screen devices. The resulting site is truly a showcase of remarkable woodcraft. 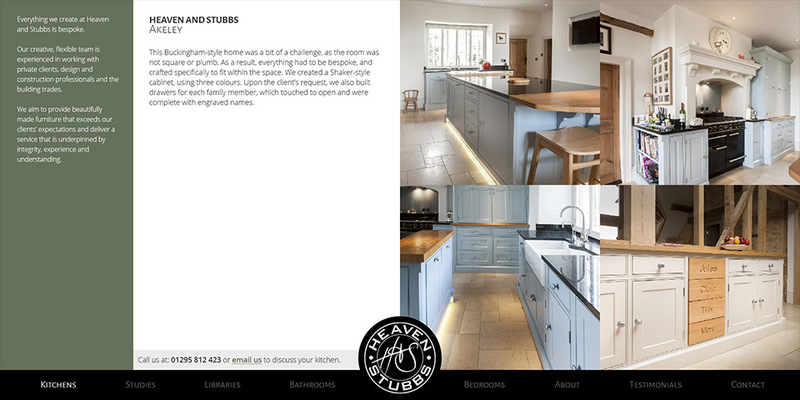 Our implementation makes site management nearly effortless, and the breathtaking quality of Heaven and Stubbs’ work really shines through. This site is designed to create “kitchen envy,” and is nothing short of successful in accomplishing this goal.